Many of you might not have heard about this Eastern European capital, but Bucharest, Romania’s capital, is surely a place worth visiting. A 2 day stay in the “Little Paris” is enough in my view making it easy for you to try do some sightseeing, try some traditional dishes in some cool places, and feel the local vibe. Growing up, this area was more or less deserted, with old buildings left by their tenants only for homeless people to move in. I don’t actually remember when things changed and the Old Town transformed itself in the most vibrant area of the city, packed with night clubs, restaurants and terraces. If you are looking for a place to party or just to go out for a glass of wine, Bucharest’s Old Town is the place for you. Moreover, the old buildings dating from the 1920’s are a lovely sight and will offer you a glimpse into the Golden Era. TIP: Don’t miss out the most beautiful and most instagrammable book shop in town – Carturesti Carousel. 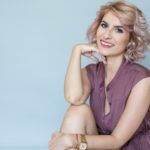 The coffee shop market in Bucharest has exploded in the past years and you will be pleasantly surprised to discover a lot of small, yet stylish and minimal coffee places. People here are very passionate about their coffee (as they are about anything) and they will always explain all you want to know about the various blends. Origo – close to the Old city centre, I think Origo was the first one of its kind. The go to place for both delicious coffee but also incredibly good cocktails. Orygyns – that blue charming cup, filled with the nectar of Gods will stick with you forever and for always 🙂 Friendly people, small and intimate place. M60 – M60 is located in the heart of the city, but still hidden from the hustle and bustle, this place is perfect for an afternoon cup of coffee. The largest administrative building in the world, the Palace is not particularly something we are proud of, having been built during Ceausescu’s era and costing the lives of many people, but yet an attraction worth seeing. What will draw your eye is its luxurious interiors and its colossal structure, having only a small taste of the megalomaniac Ceausescu was. Here is a link to the official website. The largest park in Bucharest, the place is beautiful especially on warm evenings when you can sip a glass of wine at Fratelli by the Lake and chill on some lovely music. If you’re there, try the “mitzu” cake and you’ll thank me later. Also, step outside the park and take a picture with the Triumph Arch, smaller than the one in Paris but still a pretty setting. TIP: Go during Spring and make sure to visit the Japanese Garden filled with cherry trees in blossom. Another thing Romanians like are the sky bars and restaurants and it will be easy for you to choose one of the many great places, offering both delicious food, great atmosphere and views. Check out this post for more places to eat and party like a local. RELATED – Planning a trip to Bucharest soon? Make sure to check out our Europe Packing List for all the travel essentials for Europe. Dedicate some time to visiting one (or all) of the National Museum of Romanian History (and its famous statue, you’ll know what I’m talking about once you’re there), The National Museum of Art, Romanian Peasant Museum, National Village Museum. Caru’ cu bere is is a total must! It is very touristy but very charming. They serve delicious traditional food here with a taste of local dances, music and spectacles. Here is where you must try the ciolan cu varza and the mouth-watering papanasi (a traditional desert), the only thing you must have in mind is to come with an empty stomach. Afterwards, pay a visit to the Stavropoleos Church for some beautiful pictures for Instagram and go even further for a walk on the Unirii Blvd along the fountains. Somehow, in the last few years or so, Romanian people have developed a passion for fluffy pancakes, topped and filled with all sorts of creams and fruit. Thus, it is very easy to stumble upon chic places and fall head over heels for these sweets that would make a great snack, brunch, or even lunch. Dianei 4, Frudisiac, Maison des Crepes are only a few of the places you won’t want to miss. 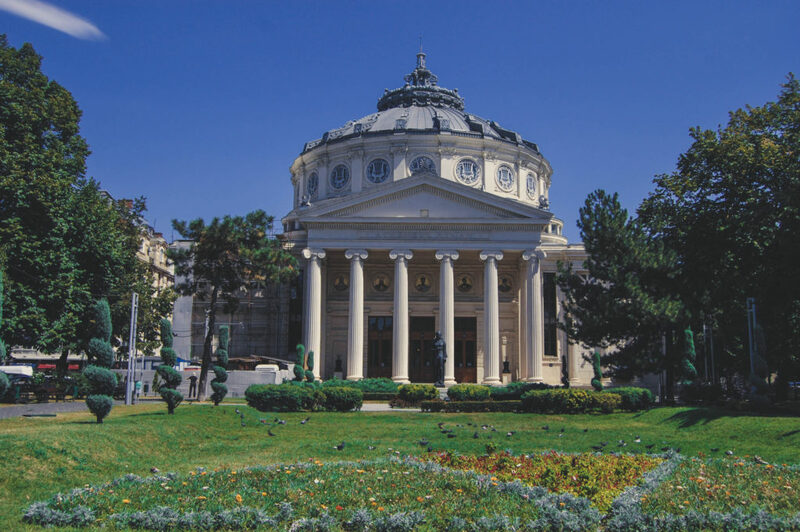 And stop by and take a picture with the Romanian Athenaeum, after which continue your stroll only to stop at the George Enescu Museum, with its incredible architecture. 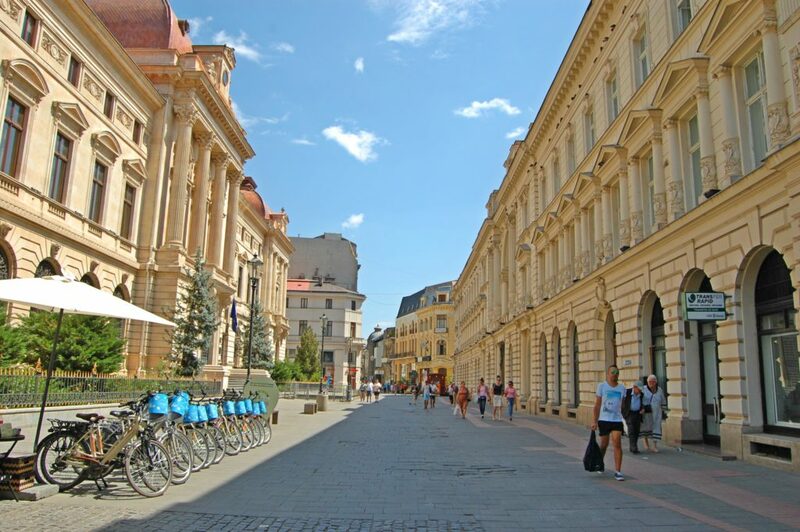 Read More: Is Romania Safe to Visit? This is the poshest area of town and where you will see all the embassies and old stylish houses, but where you will be charmed by the beautiful buildings. RELATED – Looking for more amazing things to do in Romania outside of Bucharest? Make sure to check out our Romania Bucket List for more Romania travel inspiration. As far as transportation is concerned, Bucharest is a rather cheap town and even taxis can be really cheap as compared to other European towns. The public transportation is another option, also very cheap (one trip less than 0.5 cents), with good connections. The underground is the fastest and most efficient way of travelling around town, especially at peak hours when the traffic can get really crazy. Here is a map of the subway. Another thing worth knowing is that there aren’t night buses or means of transportation apart from taxis. Here are more tips for traveling in Romania. Be careful with taxi drivers, because they will try to rip you off, make sure they have the timer on and ask for what it’s written there. 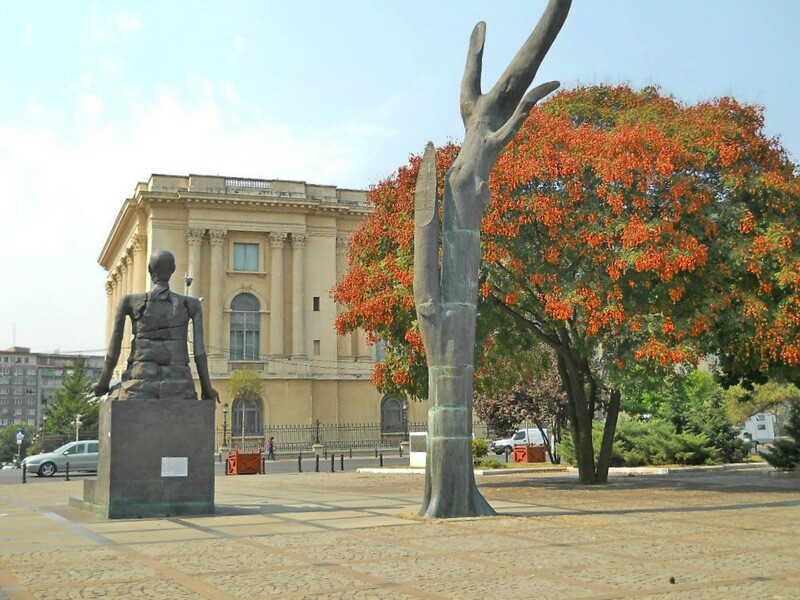 The best time of the year to visit Bucharest is during spring and autumn. When it rains or snows traffic can get crazy. Hi, I’m Ingrid, I read, love and travel, come join me in the relentless try of making life better each day and breaking down barriers! On my page, IngridZenMoments, I share with you all my learnings, be it advice on particular destinations, travel planning tips and tricks, “how” on living beautifully through positive thinking and tips on finding the hidden gems in different cities. I am aiming to encourage you to live beautifully by making time to travel, read and relax while inspiring you through incredible places shared with you as I discover them. 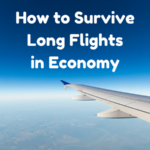 Disclosure: The Savvy Globetrotter travel blog is a participant in the Amazon Services LLC Associates Program, an affiliate advertising program designed to provide a means for me to earn fees by linking to Amazon.com and affiliated sites. I would love to get to Bucharest. That has been long on my bucket list. Now I know where to start with exploring it. This is a great post, easy to digest, and enough detail to leave you wanting more. Thanks for sharing about a city I have not (yet) been! Yet another place to add to our family’s travel bucket list. I would like to go there. It’s quite near in my neighborhood but I always choose other countries. I hope this one will get higher on my bucket list soon! Thanks for all tips! The Old City Centre looks pretty awesome! I have a friend in Romania who has been inviting me to visit her and I am seriously considering to go there end of this year. 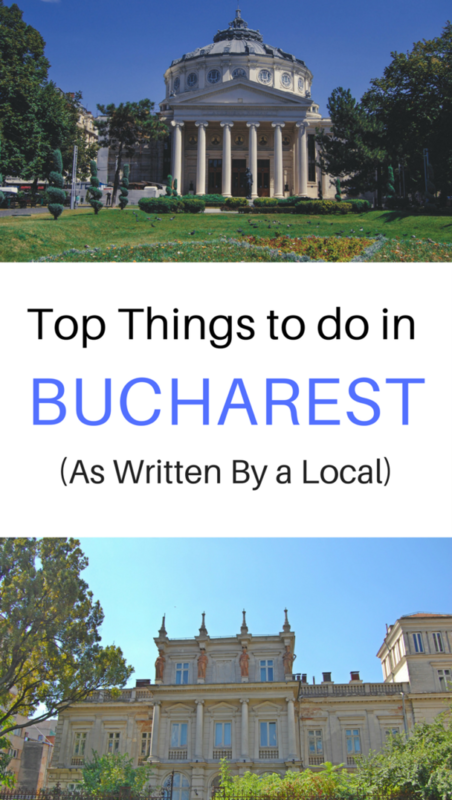 Thanks for sharing the 10 things to see and do in Bucharest, I wish you had shared more pictures though! 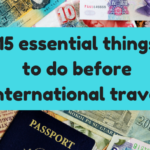 I didn’t know about many places you mentioned here. Nice to know about so many must-see places in Bucharest. Maybe someday I head there!